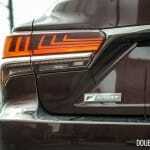 In 1989, Toyota’s Lexus luxury brand shook up the flagship sedan market with the LS 400, a conservatively styled but dead-nuts reliable and comfortable cruiser that outdid the Germans and Americans alike. 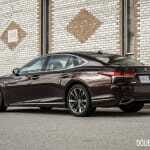 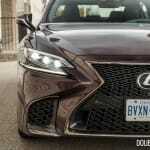 Now in its fifth generation, the 2019 Lexus LS 500 F Sport ditches the inoffensive look for a more controversial one in a matter of love-it-or-hate-it styling. 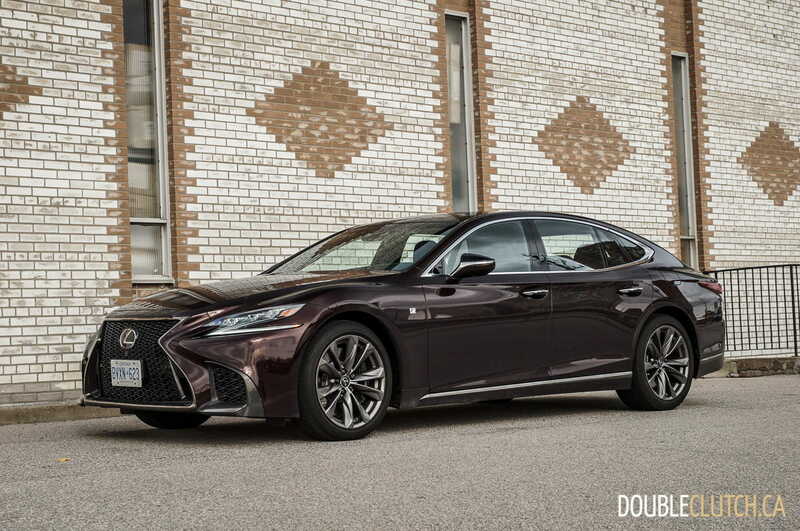 Although short and long wheelbase versions used to exist at some point in the LS’ lineage, only a long wheelbase version is sold today. 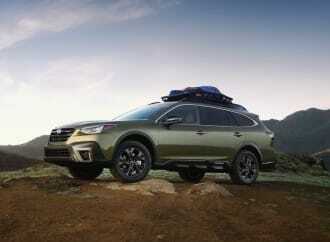 Both conventional gasoline and hybrid powertrains are available, and in Canada, all-wheel drive is the only drivetrain. 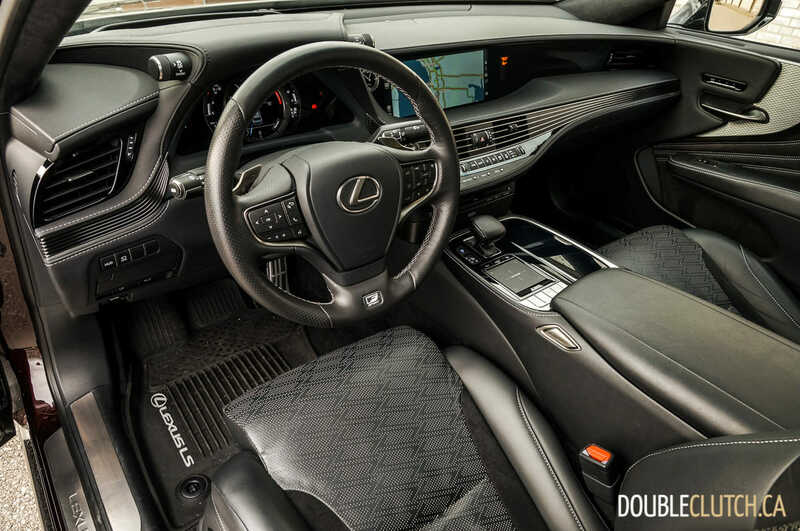 Starting at a base price of $103,150, the LS 500 comes standard with a heated steering wheel (with wood inserts for non F Sport cars), dual zone climate, Mark Levinson premium audio, driver’s massage seat, power rear door sunshades, a suede headliner, and soft close doors. 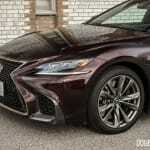 The $6,700 F Sport Package adds front and rear air suspension, a thicker steering wheel, 20-inch alloy wheels, special F Sport leather seats, triple LED headlamps, and extra front cross traffic alert for the standard safety suite, among other things. 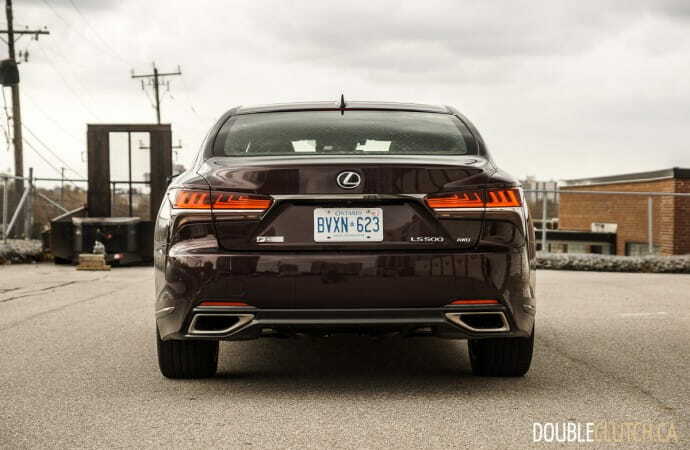 With an as-tested price of $109,850, it’s basically at the point of the cheapest and lesser-equipped Mercedes-Benz S-Class, and also several thousand less than a base BMW 750i xDrive (reviewed here). 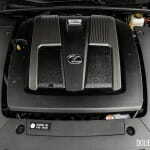 Inside, the LS 500 has a wide interior with flowing lines outlining the great attention to detail. 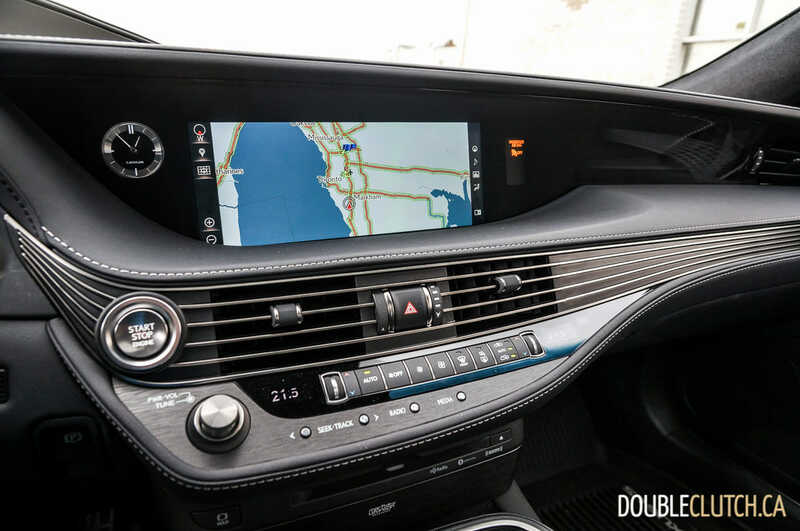 F Sport deletes wood throughout the interior, replacing it with a textured Naguri Aluminum to pair with the smartly patterned black leather. While it adds to the aggressive and sporty look, this approach makes things look fairly monotonous and less premium for a car in this price range. 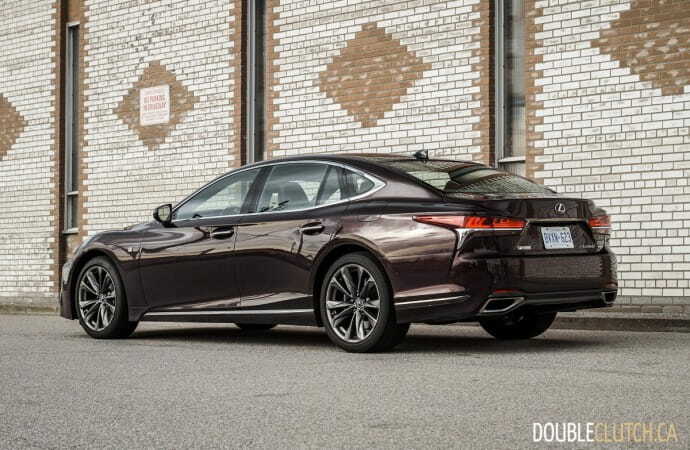 Red leather is available to jazz things up a bit, but the non F Sport’s open pore woods (such as the Herringbone Art Wood) do significantly better here. 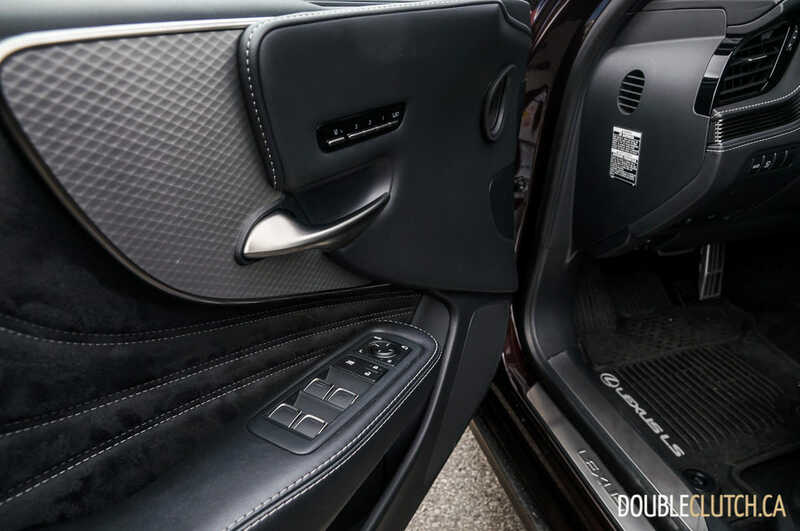 In the United States, there are even more choices for wood options, including a very slick Laser Special trim. 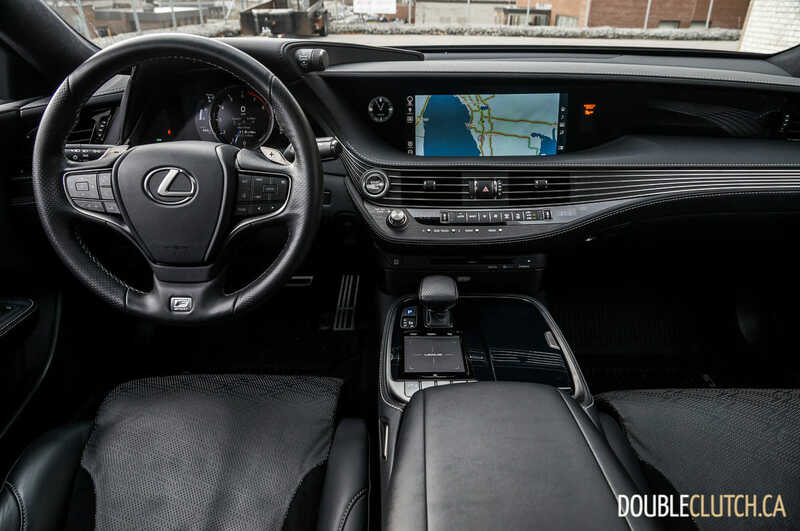 Technologically speaking, the LS 500 is packed full of the state of the art features, including a 24-inch head-up display on the windshield, a 12.3-inch LCD display, and 23 speakers out of the fantastic Mark Levinson audio system. 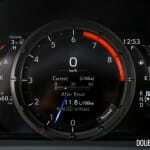 Apple CarPlay is available, but Android Auto users will be out of luck. 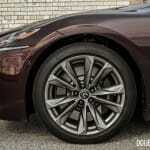 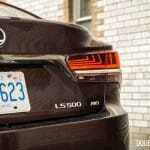 Lexus employs a touchpad-based infotainment system, and the 12.3-inch screen is not usable by touch. 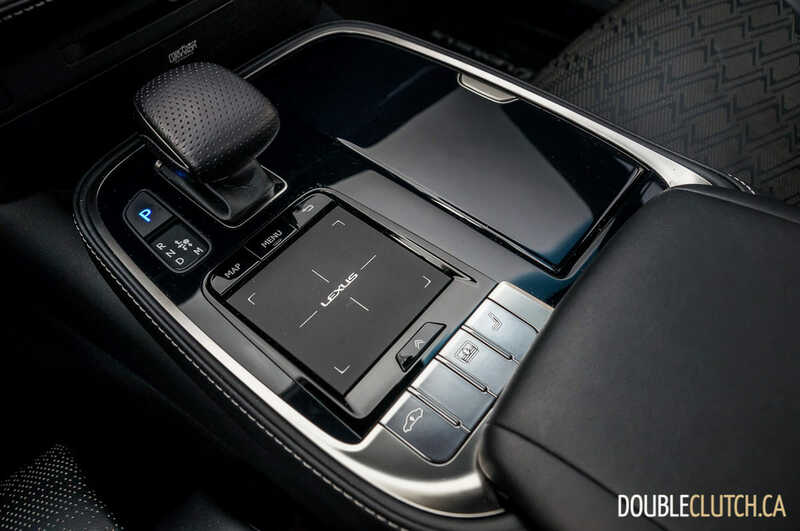 While the volume knob, basic audio controls, and most of the heating and air conditioning functions are all controllable by button, the touch pad interface is the only way to get through to navigation, setting menus, and the controls for the heated or cooled front seats. 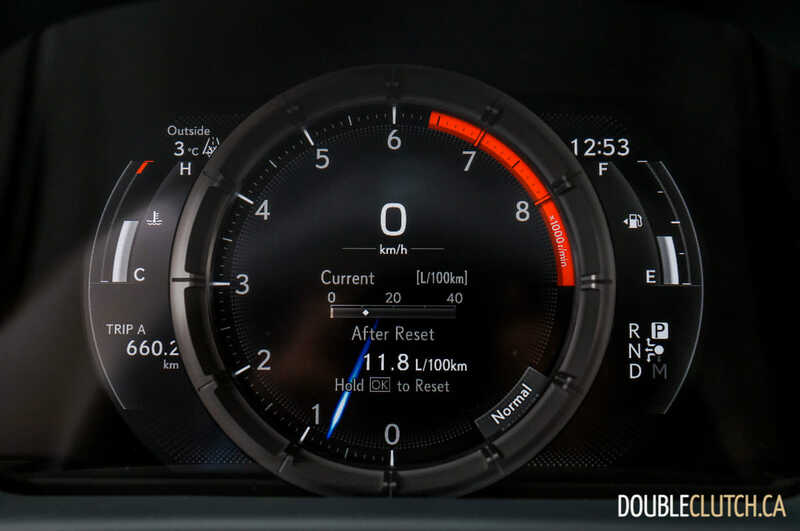 It’s an incredibly frustrating system to use, especially considering that competitors such as BMW, Audi, and Mercedes do much better with a more intuitive control wheel, generally combined with a touch interface. 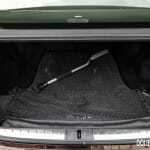 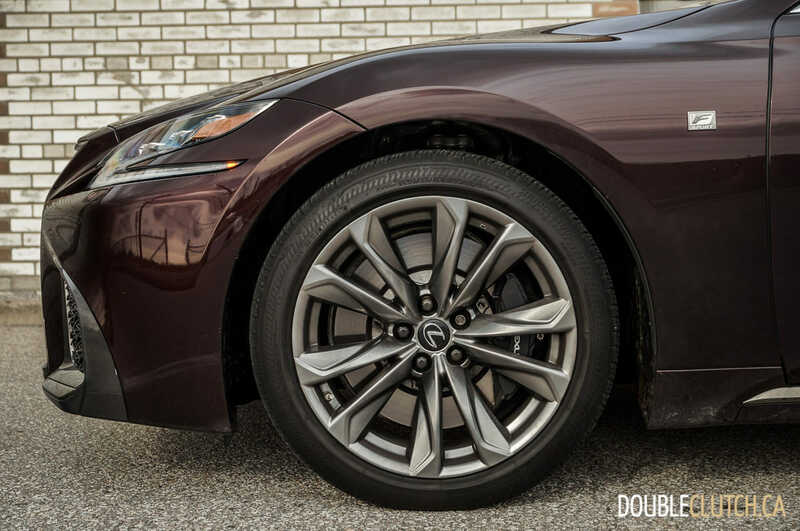 It is worth nothing that the author of this review is left-handed – and also a 2009 LS 460 AWD owner – and had plenty of difficulty using the touchpad in any effective manner at all. With additional testing of other models in Toyota’s lineup equipped with touch screens, it also became apparent that the relatively good Toyota interface was moved wholesale to Lexus for touchpad operation, with little to no optimization in between. 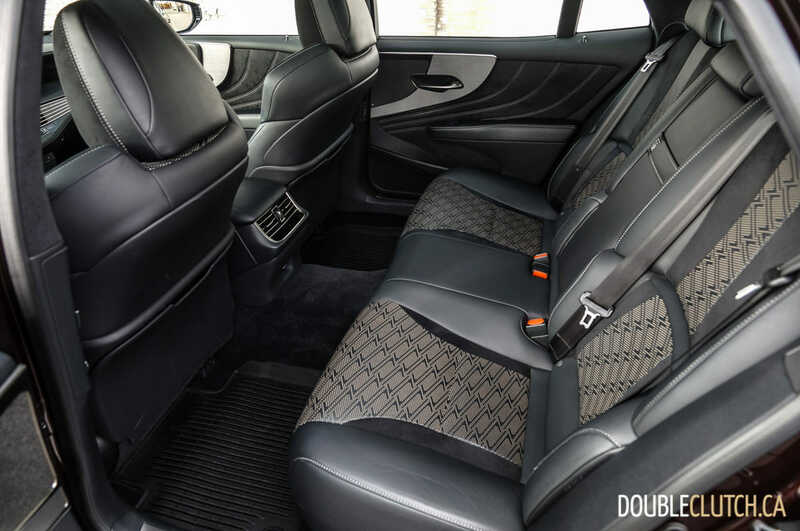 Setting the heated or cooled seats and heated steering wheel was an exercise in futility to say the least, and while there is an Auto setting that can do things for you, parking indoors and going outside into colder weather mean that manual adjustment is still needed. 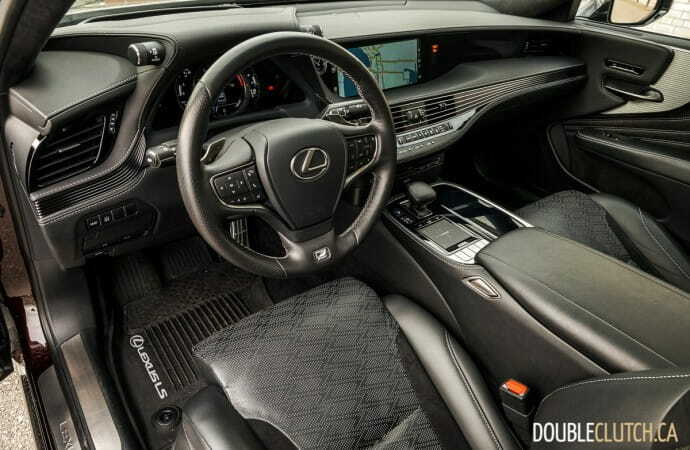 Non-dominant hand dexterity was never really an issue in the history of cars, so why now, Lexus? 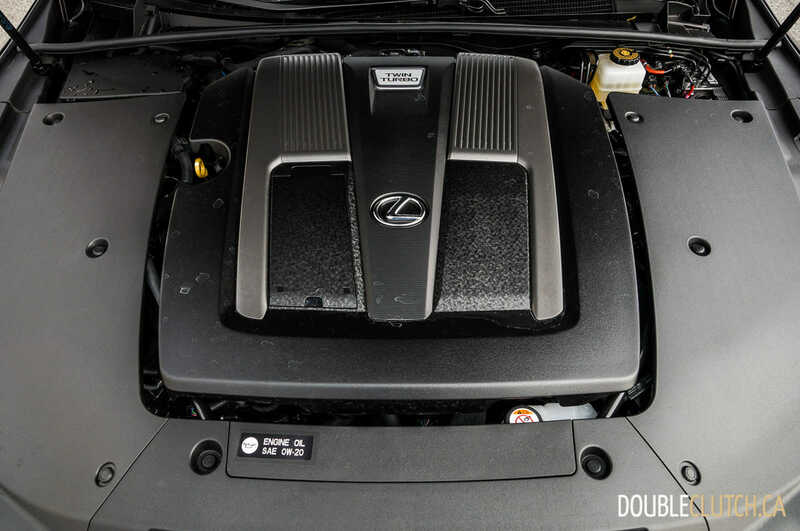 Powering all non-hybrid variants of the LS 500 is a 3.5-litre, twin turbocharged V6 engine which replaces the naturally aspirated 4.6-litre V8 found in the previous generation’s model. 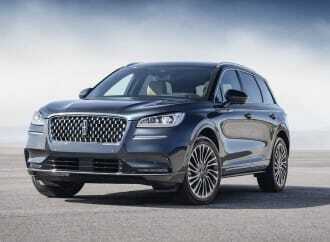 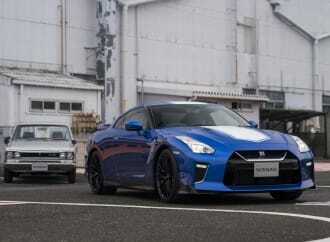 Peak output is 416 horsepower at 6,000RPM, paired with 442 lb-ft of torque between 1,600 and 4,800RPM. 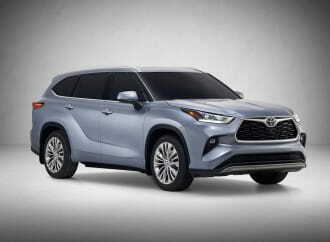 In terms of driving experience, the wealth of extra torque down low is useful in city driving, and the turbo six no longer needs to wind up past 4,000RPM in order to get moving. 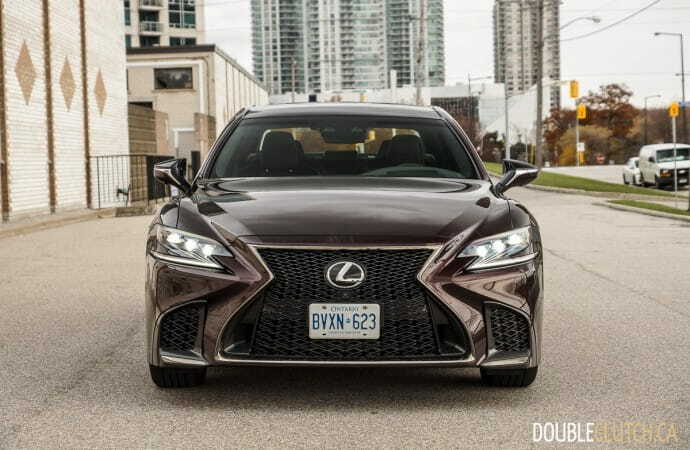 It’s a generally smooth operator that never runs out of breath, and Lexus says that the sprint to 60 miles per hour (96 kilometres per hour) happens in 4.6 seconds. 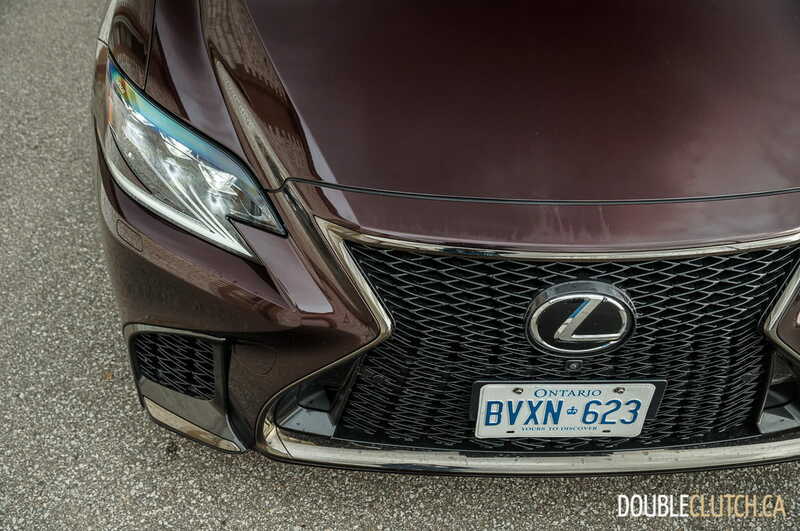 The V6 is a bit behind in the soundtrack and smoothness relative to the old V8, and it’s a bit of a wonder why the LC 500 coupe’s 5.0-litre V8 was not used here. 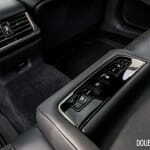 The ten-speed automatic transmission does its job without complaint, although competitors’ gearboxes like the BMW eight-speed do better for refinement and shift quality. 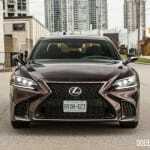 With its 2,240 kilogram (4,938 pound) curb weight, the V6 may have been used for fuel savings, with a rating of 13.0L/100KM in the city, and 8.7L/100KM on the highway. 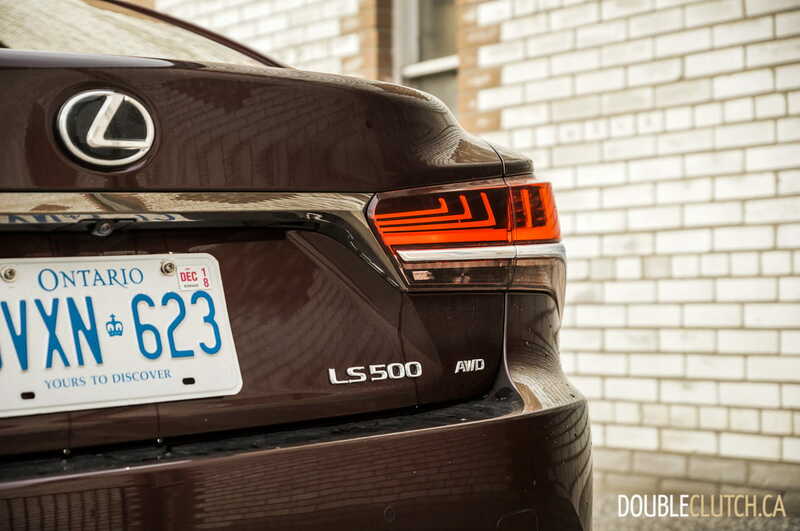 Observed economy over a week of testing netted 11.9L/100KM with a bias toward highway driving – basically the same as the old V8 2009 LS 460 AWD with its eight-speed transmission. 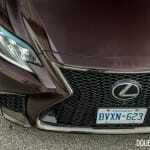 Where the LS 500 F Sport definitely shines, however, is in the handling department. 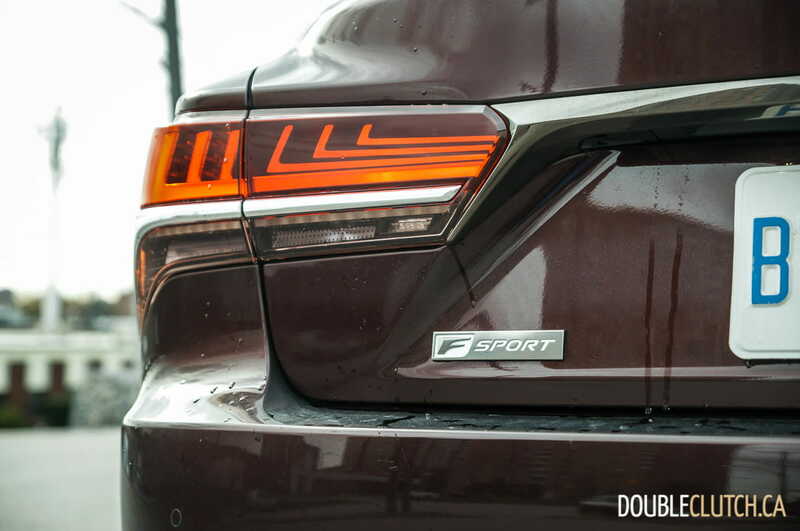 Despite being equipped with comfort and economy-oriented Bridgestone Turanza EL450 run-flat all season tires, the F Sport air suspension makes up for it with magical roadholding. 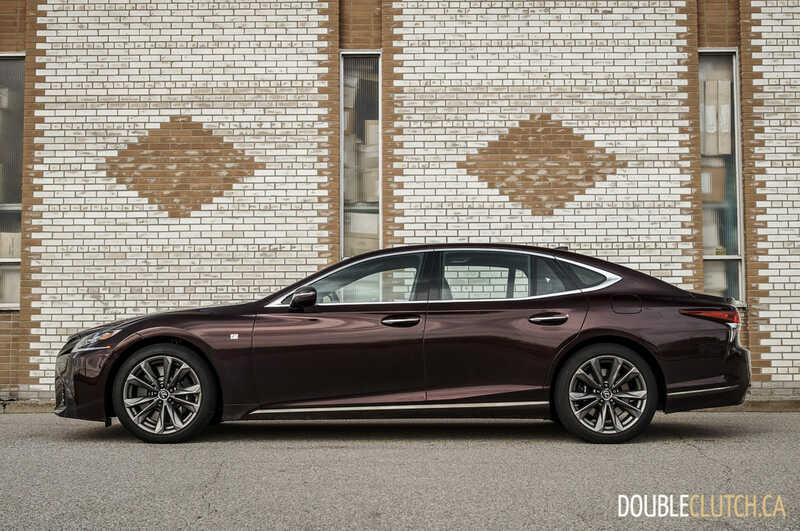 It’s hard to fathom how a nearly 5,000 pound car with an extra-long 123-inch (3,125 millimetre) wheelbase can take a corner so well, and taking highway ramps with gusto makes drivers forget that they’re in a flagship luxury sedan. 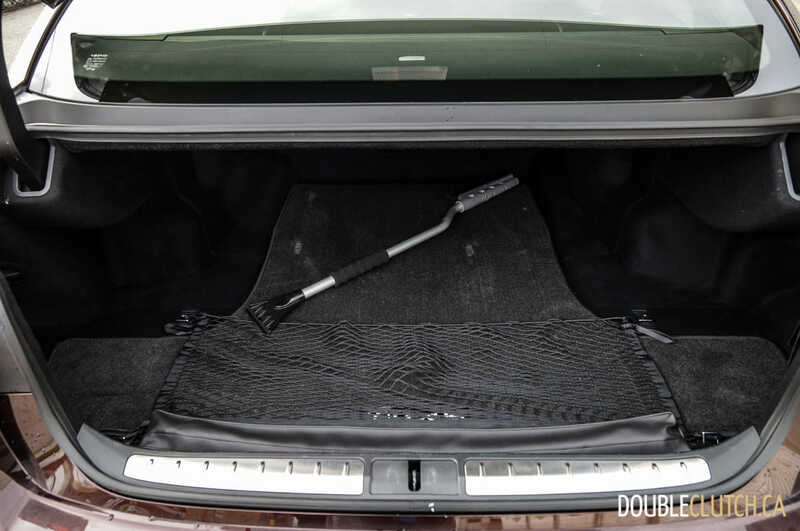 The ride does get fairly firm in the sportier settings, and it’s best advised to leave the adjustable suspension in its softer mode to keep it as a great, whisper-quiet highway cruiser. 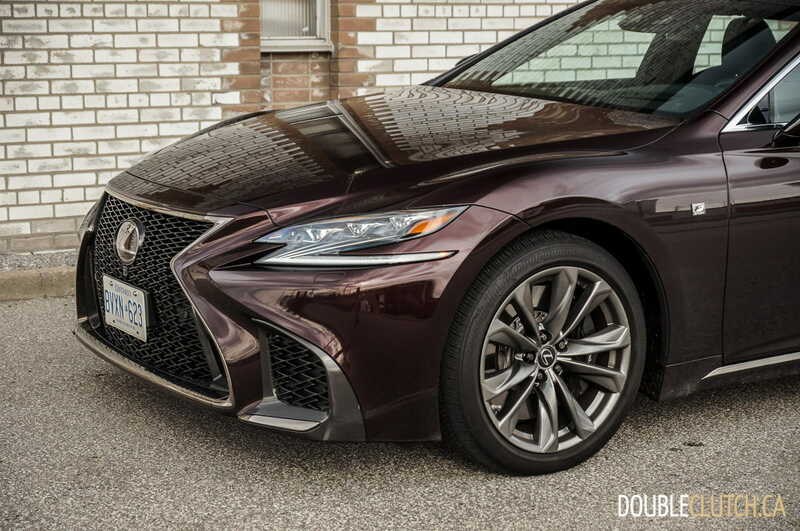 Overall, it may seem that this review of the 2019 Lexus LS 500 F Sport was a bit negative, but that’s not to say that it is a poor performing car. 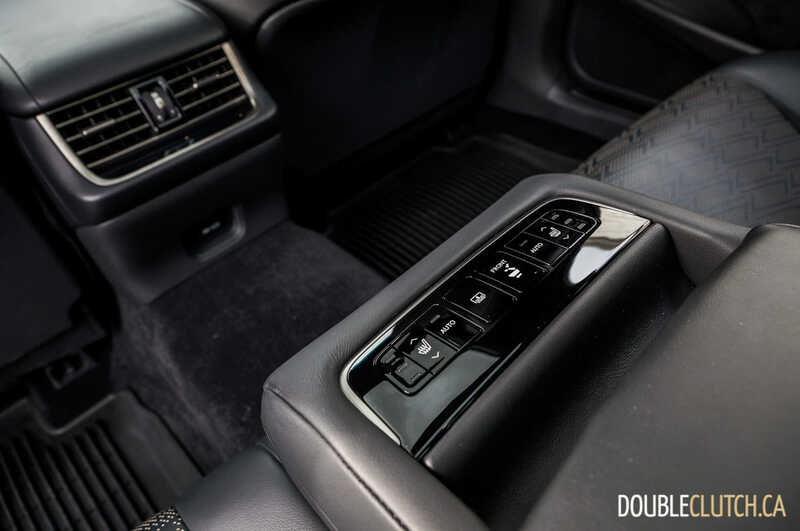 There are elements of frustration such as the touchpad-based infotainment, and the twin turbo V6 is good, but really makes one miss the old V8. 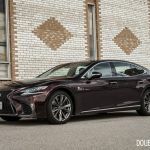 All things considered, it is still thousands cheaper – or tens of thousands depending on how you option it – than a comparable BMW 7-series, Mercedes-Benz S-Class, and Audi A8. The Genesis G90, which is a new player to the game, is hot on the tail of the Lexus. 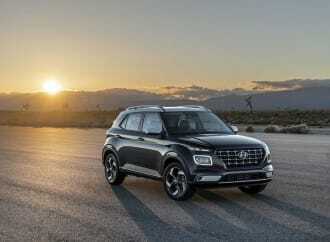 Other than its sedate, boring styling, the G90 does everything about as well, if not better than the LS, for less money. 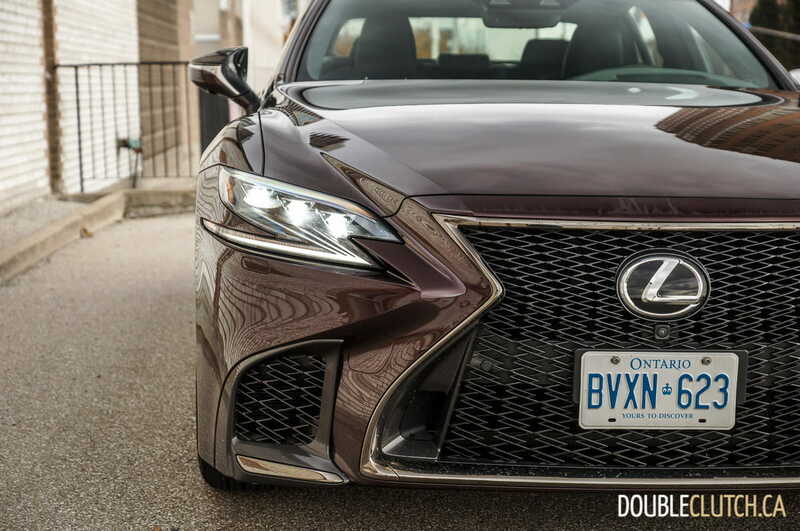 Where the Lexus wins is driving dynamics and handling, where it can keep up with the best of its peers, without question.